Beautiful sea, green mountains, lush vegetation, rich culture. Scattered along the western coastline of Central Greece, the Ionian Islands are a cluster of twelve small and large island. The natural traits of the Ionian islands are well combined with a multitude of sights, historic monuments, and museums. Due to the air currents prevalent on the islands, many of the beaches have perfect conditions for windsurfing and other water sports. There are a lot of options for land trips, hiking and mountain biking. 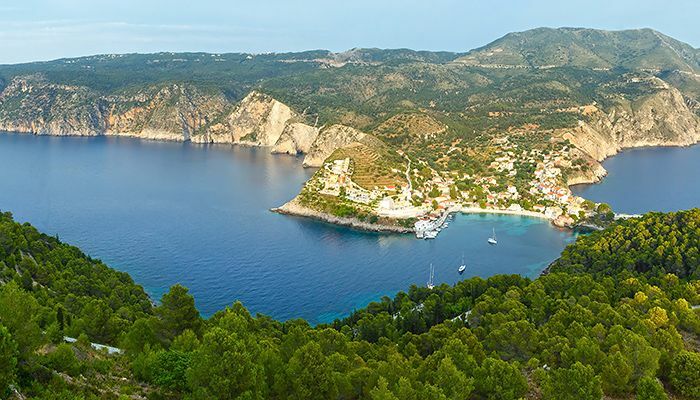 With a temperate climate, deep and cool sea waters, lush greenery, and cultural heritage the Ionian islands are the perfect spot for relaxing and active holidays. 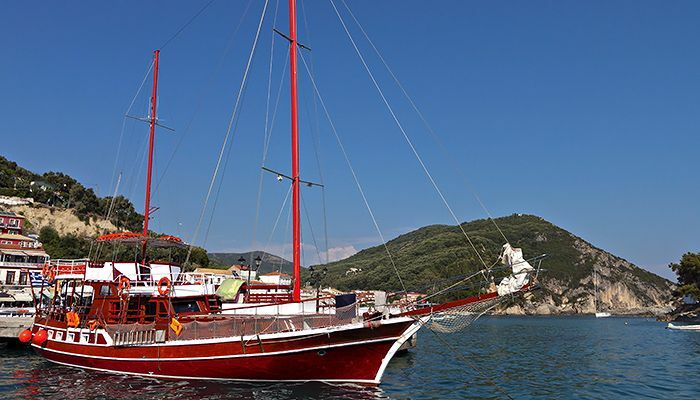 You can board your gulet in the harbor of Messolongi in the vicinity of the Patras city and the airport. Messolongi port is located in the center of a unique protected Klisova lagoon, an area that remains undiscovered by mass tourism. 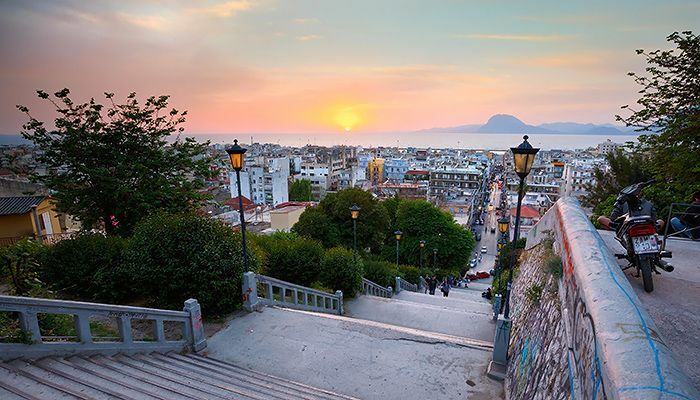 The town has a historical significance for Greek independence and is itself very picturesque, combining traditional architecture and modern urban planning. If you wish, you can explore the city a bit, visit a museum or treat yourself with delicious greek cuisine. 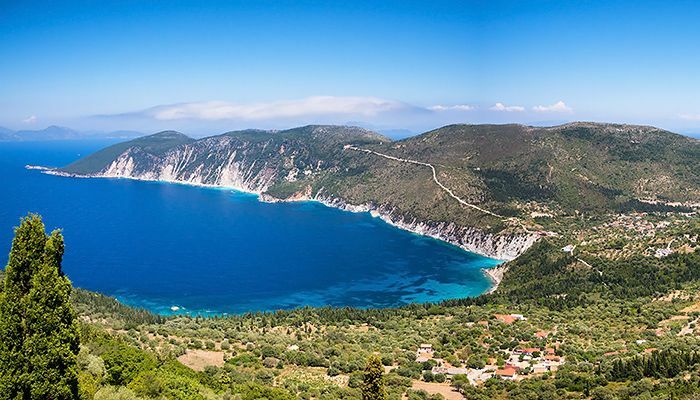 The first island on the route is Kefalonia, the largest of the Ionian islands. Kefalonia has various natural attractions like underground lake Melissani, Drogarati cave and Myrtos beach, described as “one of the most dramatic beaches in Greece” and voted the best Greek beach for several times. You can visit picturesque fishing villages and enjoy swimming and local cuisine. Agia Efimia is a quaint little fishing village situated on the east coast of Kefalonia surrounded by mountains. It has a natural bay, great beach and clean sea for swimming and snorkeling. The village has a dozen little taverns and cafeterias with their own special dishes. Agia Efimia is also a great base from which to explore the rest of the island. Fiskardo is the northernmost port of Kefalonia and very close to island of Ithaca. The village has a mainly rocky coast with numerous pebble-beached coves. 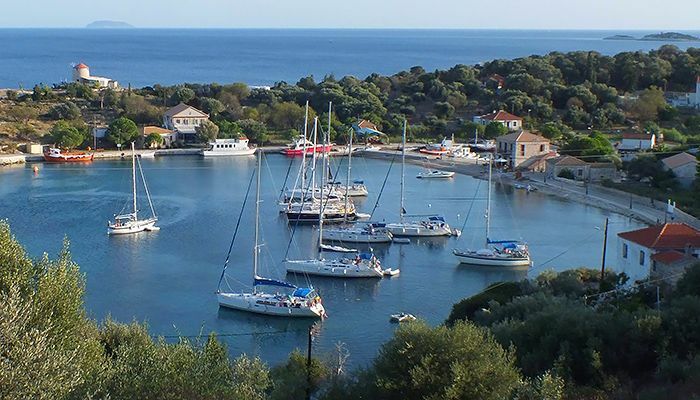 Fiskardo and its surrounding forest area have been protected under the law due to great natural beauty. From Kefalonia, the cruise continues to the nearby island of Ithaca. The island is known as the home of the renowned ancient Greek hero Odysseus, the protagonist of Homer’s classical epic Odyssey. Despite its proximity to Kefalonia, Ithaca is much more peaceful, quiet and undiscovered. Beach lovers will love a multitude of choices for all tastes, from sandy beaches to pebbles, from rocky to green-clad backgrounds, from peaceful beaches to busy ones. You have options for water activities like kayaking or scuba diving. The island also boasts plenty of hiking and mountain bike trails. The Vathý village, the capital of the island, is marked by the features of the local architecture and offers some interesting museums and tasty local cuisine. Next cruise destination is Lefkada, the island that is connected with the opposite coast of Central Greece by a floating swing bridge. 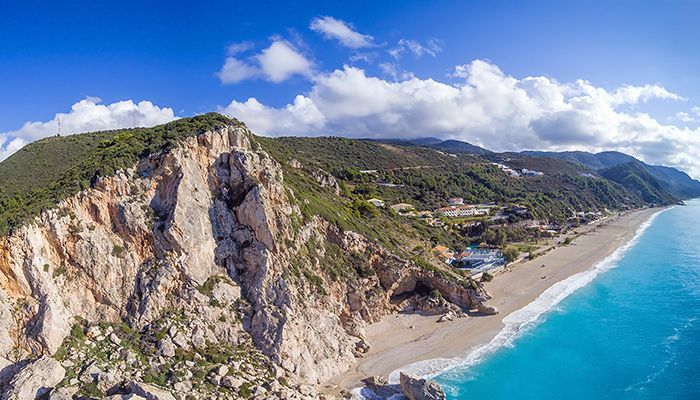 Lefkada offers you some noteworthy sights, monasteries and churches, picturesque villages, lush vegetation, idyllic coves of turquoise waters, busy and secluded beaches of stunning beauty, a significant cultural heritage and hospitable local inhabitants. There are amazing beaches almost everywhere, so you will have a lot of opportunities for swimming, and other watersports. You can visit sea caves or explore island’s green mountains with a bicycle. In the vicinity of Lefkada lies Meganisi, a small island with lush greenery, blue-green waters, three small settlements, two interesting sea caves and some beautiful beaches that are only accessible by boat. Perfect for a relaxing daily trip. 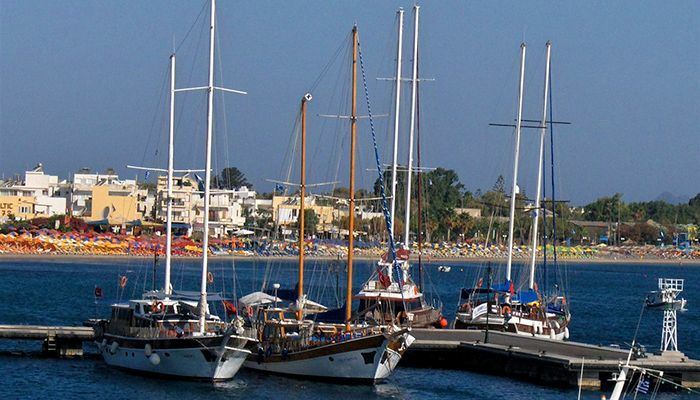 The cruise continues to Mitika harbor situated in the city of Mitikas. With gentle winds and mild weather almost all year round, this harbor is the ideal place for water sports. Here you can enjoy water skiing, canoeing, kayaking, windsurfing etc. Restaurants in the area will provide you with traditional Greek cuisine and quality dishes will spice up your holiday and will ensure your stay here will be the one to remember. 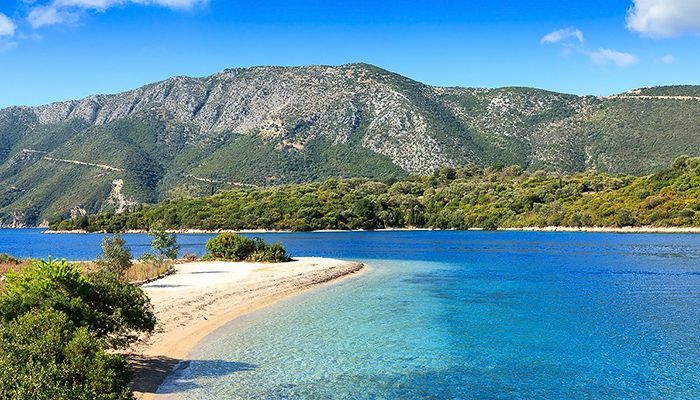 On the way south, you can visit two small islands Kalamos and Kastos that host beautiful beaches and sea caves. Kalamos is the bigger island of the two and is covered with pine trees, while Kastos is an elongated isle covered in olive trees and provides a safe anchorage for boats cruising the Ionian sea. The last destination of the cruise is Zakynthos, the third largest of the Ionian islands. Zakynthos, also known as Zante, is among the most beautiful and popular islands of the Ionian Sea and is world famous for the crystal beaches and lively nightlife. The island landscape is diverse and has different types of beaches, from sandy beaches in secluded coves with tranquil deep blue waters to the rugged cliffs and interesting underwater world. The island’s capital, also called Zakynthos, is marked by the beautiful Venetian architecture. 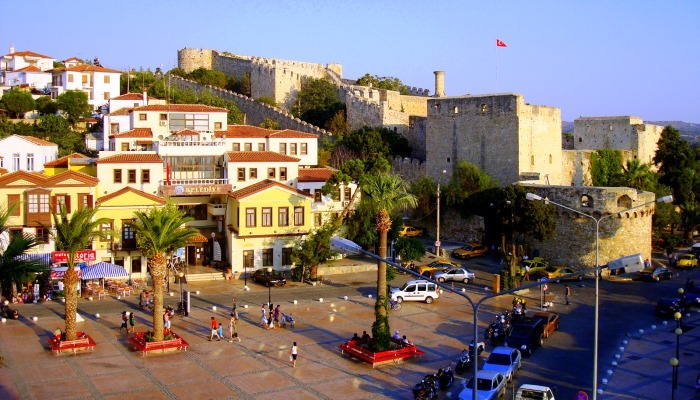 You can explore town’s squares, churches, castle, museums, and other cultural landmarks or take a walk on the coastal road Strata Marina and enjoy among numerous cafes and restaurants. 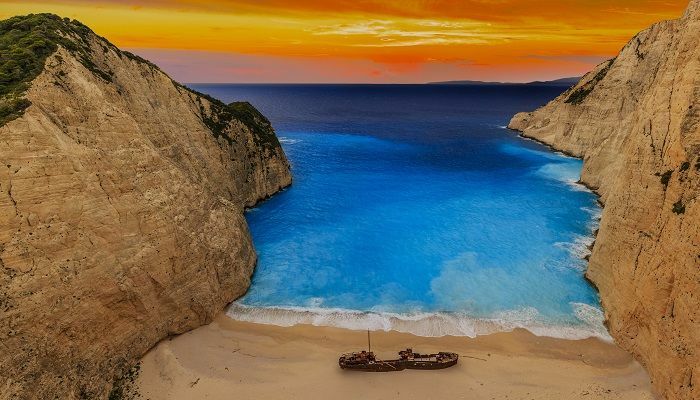 You can take a trip to the most famous beach Navagio (Shipwreck) or visit the beautiful Blue Caves.